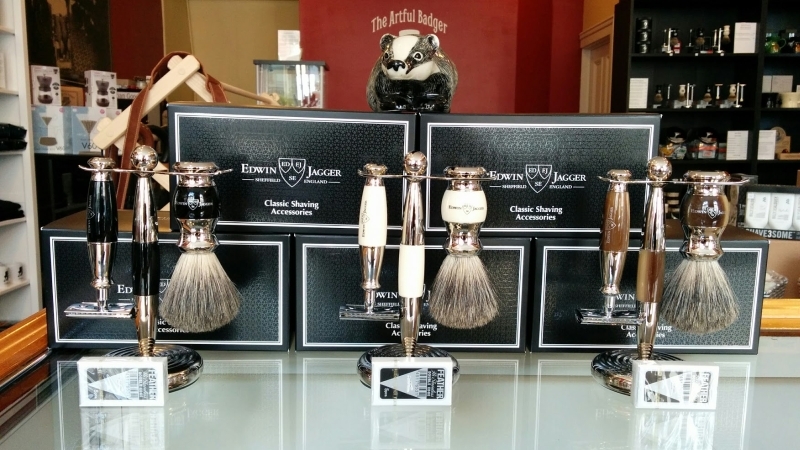 Edwin Jagger Shaving Sets – Back In Stock! As promised, our wildly popular Edwin Jagger R35 shaving sets are back in stock just in time for Valentine’s Day! Available in faux ebony, faux ivory, and faux horn with nickel plated accents – 3 piece set includes DE safety razor, pure badger brush, and colour matched stand. New for 2016, these sets now include a complimentary 5 pack of Japanese made “Feather” brand razor blades – the sharpest blades money can buy. At just $150 per set, you can definitely afford to treat your Valentine(s) to this luxurious shaving experience. Shop early for best selection!